I have always struggled with finding a shampoo that would help strengthen my hair from the bleach in my hair which has caused my hair to feel dry and dull at times, but I’m so happy with the noticeable differences in my hair since using Pantene repair shampoo. 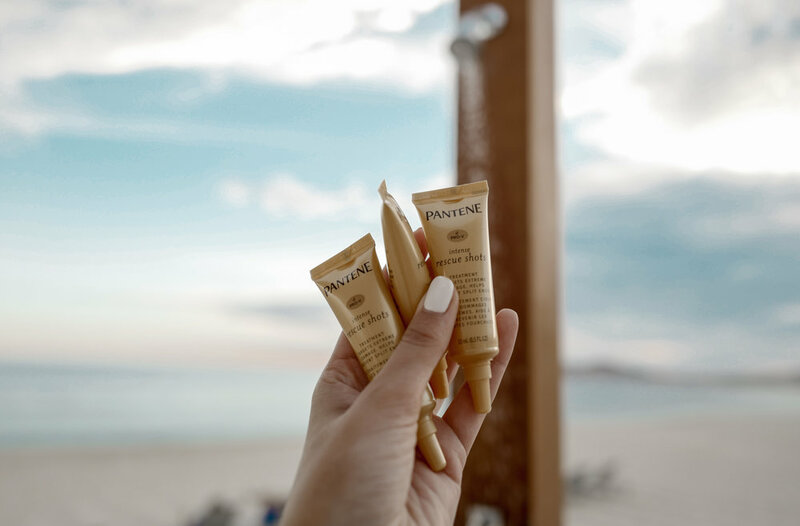 Not only has the shampoo given my hair more life - I’ve recently started using Pantene Pro-V Intense Rescue Shots… this was a serious game changer for my hair, it deeply absorbs the blend of Pro-Vitamin B5 that strengthens the targeted damaged areas of your hair! It’s the best at home professional treatment for an easy hair mask, and it rinses out quickly so you don't have to stress about having weighed-down hair. Your will see noticeable differences in the health of your hair! • The product was formulated to prevent overdosing so unlike other hair treatments, no need to hold back! It is single use! I’ve been using these intense rescue shots once a week to help repair any damage and my hair feels so much healthier already! Yay for healthy, happy hair! If you have colour-treated hair and you often style your hair with heat, that can mean a loss of nutrients for your hair creating rough, dull hair - something we don’t want! Pantene is leveraging Brazil’s secret to a great hair day and they are bringing it to the U.S. in the form of Intense Rescue Shots. It is most ideal for colour-treated and heat-styled hair but also for all hair types, this new product aims to rescue your damaged hair and ensure that you have more great hair days in between professional salon treatments. We all love to get pampered and get our hair done so let’s make sure we keep our hair looking and feeling healthy too!